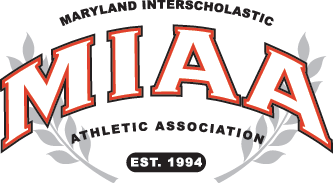 The MIAA B Conference baseball tournament continued on Wednesday in the rain as both games were moved to turf fields, with top-seeded Boys’ Latin edging Glenelg Country, 9-8, in the winners’ bracket and Gerstell Academy topping Severn, 8-4, in the elimination bracket. Playing at Calvert Hall, BL reversed an early 5-0 hole by scoring seven times in the bottom of the third. Then, after the visiting Dragons regained the lead with a 3-run fourth, the Lakers scored two more in the home half of the inning. Neither team scored the rest of the way as the Lakers advanced to Sunday’s finals at Harford Community College where they will go for a 3-peat. BL’s big third inning began with a pair of walks and an RBI double by Matt Luterman. After a catcher’s interference call loaded the bases, Jackson Gazin walked to chase home the second run. Sam Grace followed with a two-run double, which was followed by two more walks to tie the game at 5-5. Glenelg Country managed to retire the next two hitters without allowing a run, but Eric Gazin delivered an RBI single and Luterman picked another RBI when he was hit by a pitch. With one out in the bottom of the fifth, Grace hit another double and Justus Brown followed with a home run to left to allow the Lakers to regain the lead. Michael Fagan staked the Dragons to a 1-0 lead with an RBI single in the first. Cole Sterry drove in the second when he was hit by a pitch with the bases loaded in the second. As the bases remained load, Jake Schiller drew a walk and Kevin Gamble was also hit by a pitch to make it 4-0. Alex Beglan then made it 5-0 with an infield RBI single. In the Glenelg Country fourth, Sterry got another RBI with a fielder’s choice grounder and the Dragons went back on top with an error on a ground ball by Schiller. The unsung hero for the Lakers was pitcher Max Mygatt who came on in the fifth inning and tossed three scoreless innings, allowing just one hit, to get the win. At John Hopkins, Gerstell also prevailed with on the strength of a seven-run inning, doing its big damage in the top of the sixth. In the game that was scoreless until the bottom of the fifth inning when Severn broke the ice with a 4-run outburst, Gerstell exploded for five hits, including four doubles, in the top of the sixth to fuel its rally. Max Friedman paced the Falcons with three hits and two RBI’s. Tyrin Hawkins added two hits and two RBI’s and Matt Szedlock also drove in two runs. Brennan Sedney pitched the final two innings for Gerstell and held the Admirals scoreless. Alex Rozner had a double and drove in two runs for Severn and Everett Cortes had two hits and an RBI. The tournament continues on Friday as Gerstell travels to Glenelg Country, weather permitting, for the final elimination game. The winner of that contest will join BL at HCC and will need two wins to end the Lakers’ title run.